2.2 you can still register for the October 13-14 Qin Na Weekend. 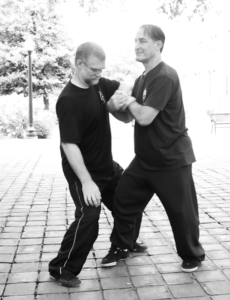 Qin Na (seizing & locking skills) are part of every style of Chinese martial arts. Qin Na techniques teach the practitioner to control and lock the opponent’s body. 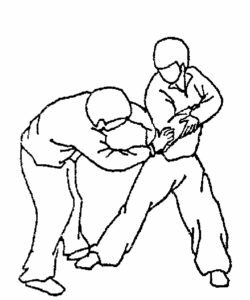 These practical self-defense skills have wide application and can be freely mixed with throws and strikes. An invaluable resource for practitioners of any style of martial arts. This two weekend series focuses on the Eight Basic Techniques of Seizing the Wrist (Middle Seizing and Locking) and the Eight Techniques of Seizing the Elbow and Shoulder (Upper Seizing and Locking), as taught by Master Zhao Da Yuan in Beijing, China. Each technique is explained in detail and practiced individually with partners. Each of the eight moves for both Middle and Upper Seizing and Locking are linked in a sequence or chain of locks. The linked sequences will be practiced both with partners and as solo sequences (short forms) for practice at home without a partner. Variations of some of the techniques will also be presented. Ideal for practitioners of the internal arts including Xing Yi Quan, Ba Gua Zhang and Tai Qi Quan. Open to practitioners of all martial arts, no previous Qin Na experience required. you can still register for the October 13-14 Qin Na Weekend.